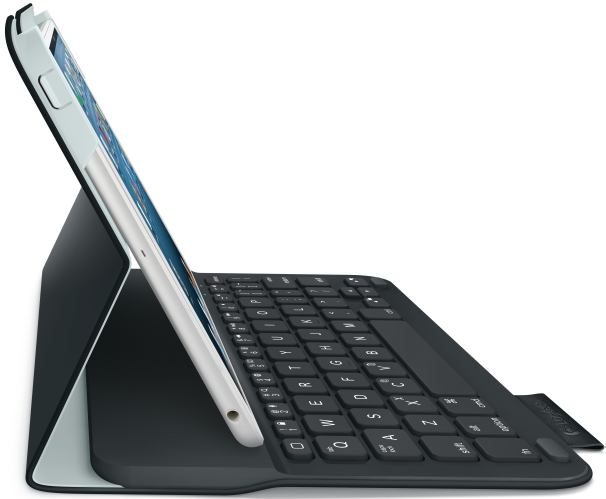 Logitech just can't stop making keyboard cases for iPad minis, and its third set in six months includes the new Ultrathin Keyboard Folio, which melds familiar elements -- water-repellant materials, Bluetooth connectivity -- with a few novel ones. Namely, iOS shortcut keys for copying and pasting and a magnet system called SecureLock to keep your slate anchored. What the firm is claiming is its thinnest and lightest keyboard folio to date will cost you $89.99 -- that's the same price as March's version, or $10 more than February's model. Also fresh is the key-less Folio Protective Case that does double duty as a multi-position stand, and will sell for $49.99, about $10 over Apple's own Smart Cover. The good news is that if you dig either of these, they'll be available direct from the manufacturer later this month. If not? Well, there's bound to be a different model or two by the end of next week. The iPad® mini you've been carrying around is super thin, light and great looking, and today Logitech is announcing two new products that can help you keep it that way: the Logitech® Ultrathin Keyboard Folio for iPad mini and Logitech® Folio Protective Case for iPad mini. Designed with the mobility of the iPad mini in mind, these folios are precision-engineered with state-of-the-art materials, resulting in protective cases that are ultra-thin and ultra-light. Both folios offer two-sided protection, covering the front and back of your iPad mini with water-repellant materials, helping protect it from everyday bumps, scratches and spills. Additionally, the Logitech Ultrathin Keyboard Folio for iPad mini features a built-in Bluetooth® keyboard for a fast and fluid typing experience. Building off our standing as the manufacturer of the number one selling keyboard for the iPad*, the Logitech Ultrathin Keyboard Folio for iPad mini is our thinnest, lightest keyboard folio to date. Its unique keyboard layout maximizes the key size for fast and fluid typing, despite its smaller size. Couple that with iOS® shortcut keys, such as cut, copy and paste, and you can type on your iPad mini as fast as you would on a full-size keyboard. Just like the iPad mini itself, the Logitech Folio is ultra-thin and ultra-light, complementing, not compromising, the essence of your tablet. 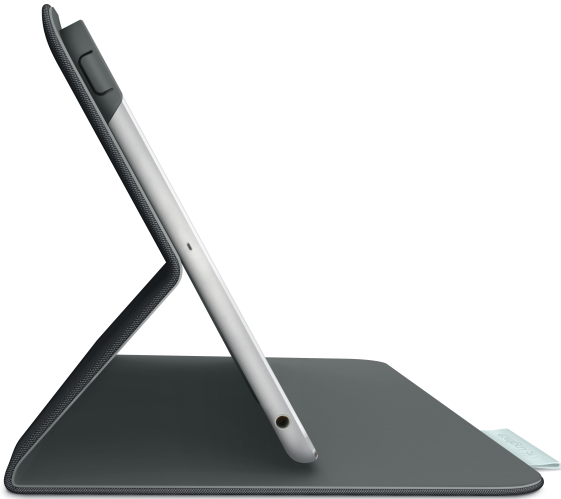 It doubles as a stand that holds the iPad mini in several positions, from nearly flat to fully upright, adapting to hold the iPad mini at the right angle for reading, viewing or playing. 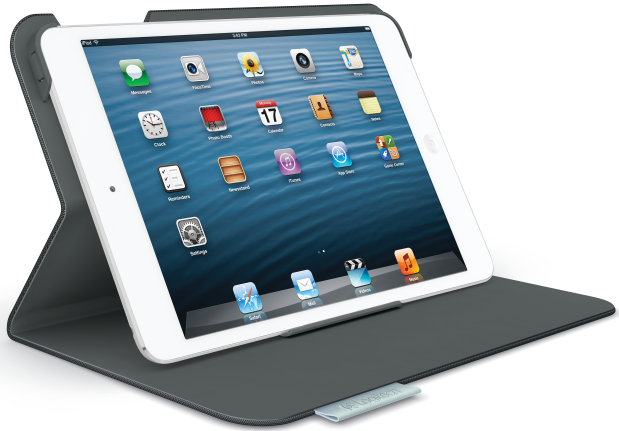 For more information on the Logitech Ultrathin Keyboard Folio for iPad mini and the Logitech Folio for iPad mini, visit www.logitech.com, and let us know in the comments below what you think of these new folios! * Based on independent sales data (in units) for United States, United Kingdom, Germany, France – December 2012.